After more than nine months in office, United States President Donald Trump finally has an Iran policy. 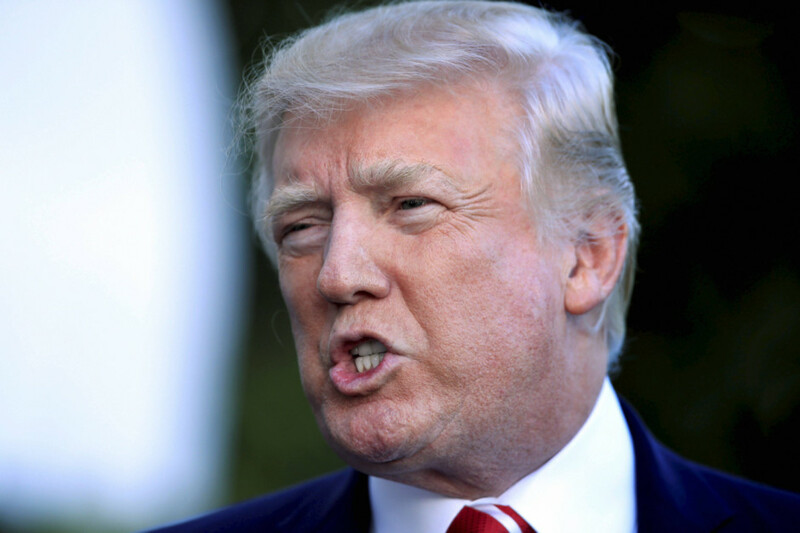 Last month, before the opening of the United Nations General Assembly, Trump approved the long-awaited strategy to deal with Iran, according to US administration officials. These officials tell me it will outline a new aggressive approach to countering Iranian threats all over the globe and endeavour to use the leverage of Trump’s threats over the Iran nuclear deal, or Joint Comprehensive Plan of Action (JCPOA) , to spur US allies to begin to address its flaws. The centrepiece of Trump’s new Iran strategy will be the designation of Iran’s Revolutionary Guard Corps as a terrorist organisation, placing it in the same category as Al Qaida and Daesh (the self-proclaimed Islamic State of Iraq and the Levant). Congress mandated this designation over the summer, but allowed Trump to waive the requirement. The designation of the Revolutionary Guard as a terrorist organisation could create problems for foreign companies seeking to invest in Iran. While the US Treasury Department under former president Barack Obama issued rules requiring private companies to do due diligence and avoid investment in the Revolutionary Guard, the rules were weakened in the final months of the administration. The new designation will make life harder for those companies. “It’s important because it means if you are doing business with Iran in key sectors of its economy, you run a significant risk you are doing business with a terrorist organisation,” Mark Dubowitz, the executive director of the Foundation for Defence of Democracies, told me last week. The designation of the Revolutionary Guard is one element of what administration officials have described as a whole-government approach to pushing back against Iran’s regional aggression. This includes a new policy on countering Iran’s threats to shipping lanes in the Arabian Gulf and particularly the threat of anti-ship missiles and the harassment of US Navy vessels. It will include a new emphasis on countering Iranian networks inside Latin America; Iran’s development of ballistic missiles; Iranian human rights violations against its own citizens; and support for terrorist groups and proxies in the Middle East. Two US intelligence officials tell me that an element of the strategy that will not be publicised includes a ramping up of intelligence operations against the Revolutionary Guard and other Iranian proxies like Hezbollah in the Middle East. Already, CIA director Mike Pompeo has approved new authorities for US intelligence officers to begin tracking and targeting Iranian agents abroad. These kinds of programmes include psychological operations such as placing funds in secret accounts belonging to Iranian officers in order to create the impression such officers are working for foreign powers. Obama wound many of these programmes down in his second term, particularly after the formal negotiations over the Iran nuclear deal began in 2013. Pompeo is winding them back up, according to these officials. As the New York Times reported in June, Pompeo has placed the CIA officer who led the hunt for Osama Bin Laden, nicknamed the “dark prince”, in charge of the agency’s Iran operations. Despite the administration’s crystallising policy on Iran, US officials tell me there is still no formal plan on how to secure Syrian and Iraqi territory after Daesh is driven out. This is particularly important in Syria today as Iran’s proxies and the Revolutionary Guard have already begun to take over some of these areas as the war against Daesh has turned. In Iraq, militias loyal to the Revolutionary Guard still play a key part in the state’s war against the terrorist group. Since 2014, the US has at times provided air support in operations that include these militias. Dubowitz told me that for now, he is assessing how comprehensive the new effort against Iran’s Revolutionary Guard will be. “I’m looking for measures that will drain the Guard Corps’s resources and have an economic impact on their funding of aggression abroad and patronage networks at home,” he said. If Dubowitz gets his wish, it’s likely the Iranians themselves will accuse Trump of violating the nuclear deal forged by his predecessor, and threaten to pull out. Unlike Obama, Trump would probably consider that a favour.